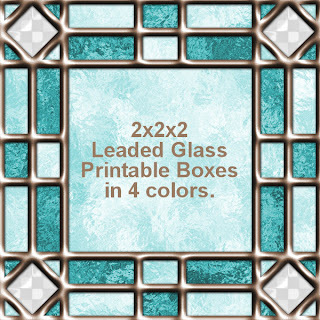 4 colors for this leaded glass effect box which has an odd origin. My husband was in between jobs for a while, and while he was- we spent a lot of time going out and doing things like hiking, going to the zoo, and just working in the garden together. We also power-watched 6 seasons of X-files. 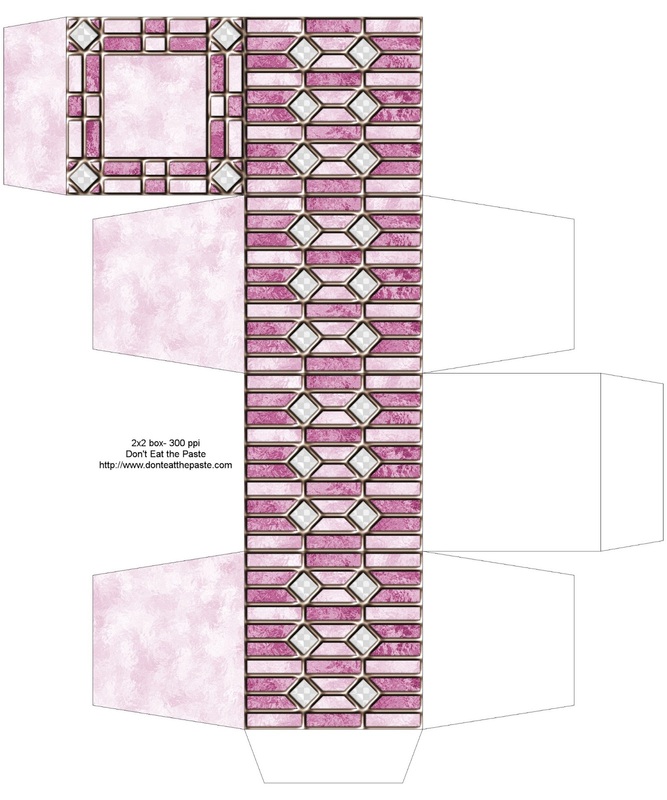 A lot of the house doors in X-files have simple, geometric leaded glass in them, which inspired this box. Click the images for the larger versions, print on card stock, cut out, score folds, fold, glue! 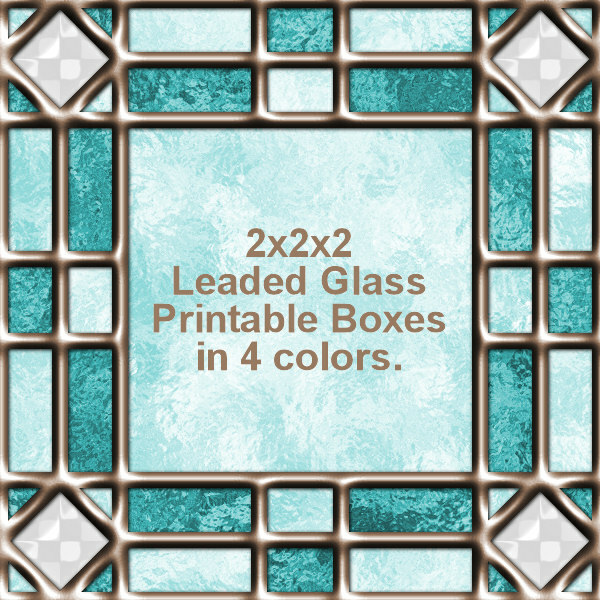 Thank you for these beautiful glass leaded boxes. Both of you are very clever and artistic.